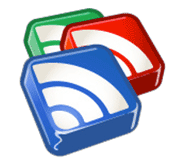 s you may have heard, Google Reader will be no more starting July 1. Unfortunately for many of us, the search giant has announced that it will shutter its much-maligned — though still widely used — RSS reader, which will no doubt leave many users in a tizzy, searching for other ways to subscribe to their favorite feeds. Sure, Google Reader may not have been the most beautifully designed product to come out of Mountain View, Calif., but it sure was convenient. And now that it’s going away, it’s evident just how valuable it has been. With that in mind, we’ve put together a list of what we think are the best replacements for the soon-to-be-late Google Reader. Plugged-in types won’t want to miss a beat once Google Reader sees its sunset, so getting familiar with these alternatives now could be key. An ideal RSS reader should be available on desktop computers and as native mobile apps for both iOS and Android. That’s what Google Reader brought to the table, and we tried our best to focus on similarly versatile services. With that said, if you’re the visual type, there are also options that read more like a magazine. If you prefer to flip through your news on a touch-screen mobile device, we like Pulse (iOS | Android), Flipboard (iOS | Android), and Google Currents (iOS | Android). And if you’re looking for a solely browser-based RSS reader, CNET’s Seth Rosenblatt has put together a nice roundup of standalone desktop software for your RSS reading pleasure on both Windows and Mac. http://unpsiquiatraonline.com finally, when you’re ready to make the jump, be sure to check out Ed Rhee’s post titled “How to export your Google reader data,” which highlights how to do just that using Google Takeout.